I'd seen plenty of sheep before: farms, Christmas manger scenes, England etc. And felt nothing. Zip. 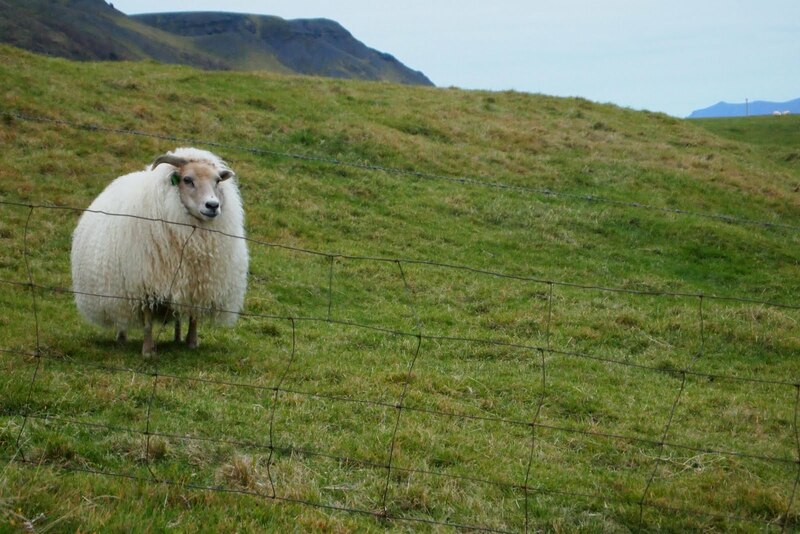 So I was a little surprised last week when I lost it every time we passed sheep by the road in Iceland. 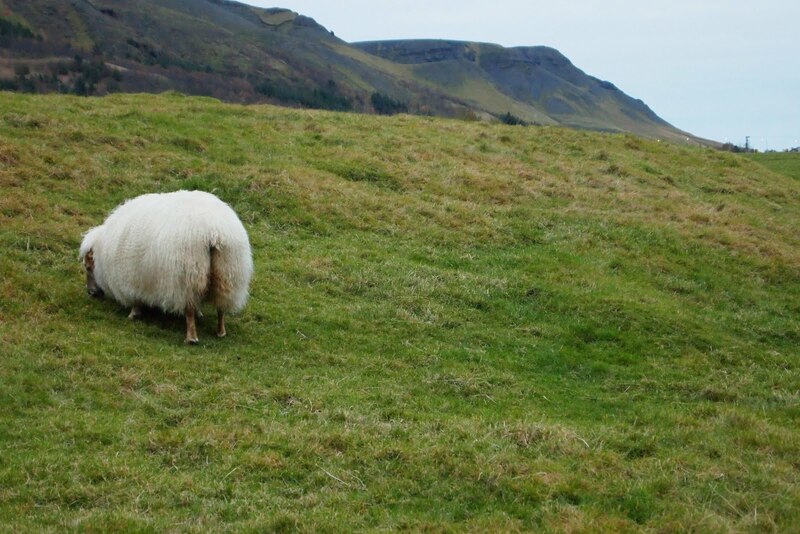 "Sheep!" I'd yell like a sugar-high kindergartner. Their faces had become, overnight, charming. And then there are their butts. You like? Here's five more. I missed my dog and I think the sheep reminded me of her. I believe Freud would call this transference. Patsy, or Pants as I like to call her, is very funny and I imagined the sheep equally goofy. The ones that climbed high up the steepest rockiest hillsides were the renegades, the explorers who talked smack about the ones far below. They ate the best grass that the others were too afraid to reach. 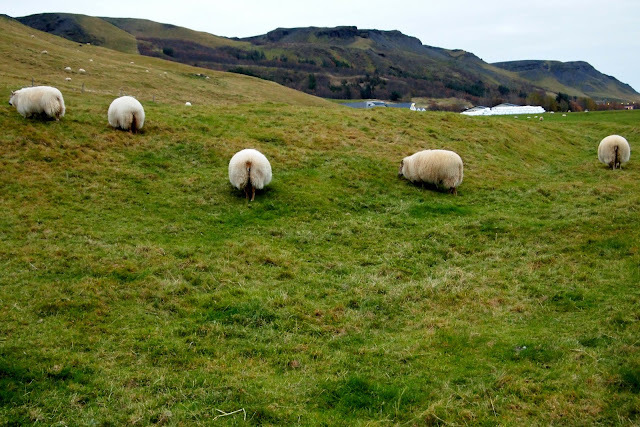 When leaving Þingvellir, the outdoor site of Iceland's parliament for 900 years where they also held duels, executions by drowning, a festival, and marriages since it was a giant Viking mixer - the Rainbow Gathering of 950 AD - we saw sheep close up. We were walking to the car when Matthew went "Oh!" He fumbled with his jacket pocket which made me think we'd thought we'd locked the keys in the car and he was searching for them frantically. I briefly wondered where we were going to get a coat hanger out in the middle of nowhere when I turned my head and saw three sheep in our way. He was looking for his camera. I could have stood there laughing long enough for us to actually miss our flight later that afternoon but the sheep were having none of it. They glanced at us and headed straight for the rocks to our left. They gave us a wide berth by climbing up the embankment until they were past us then hopped down, ran a good ten feet to put some distance between us and resumed walking, real calm and determined-like. "They snuck away from a farm," we decided, "They are in so much trouble right now." Maybe they read, like us, that Þingvellir is also where the North American and Eurasian tectonic plates are pulling apart, creating a narrow canyon, and wanted to check it out for themselves. Speaking of sneaking, I know, or strongly suspect, that this ladder is for humans, not sheep. 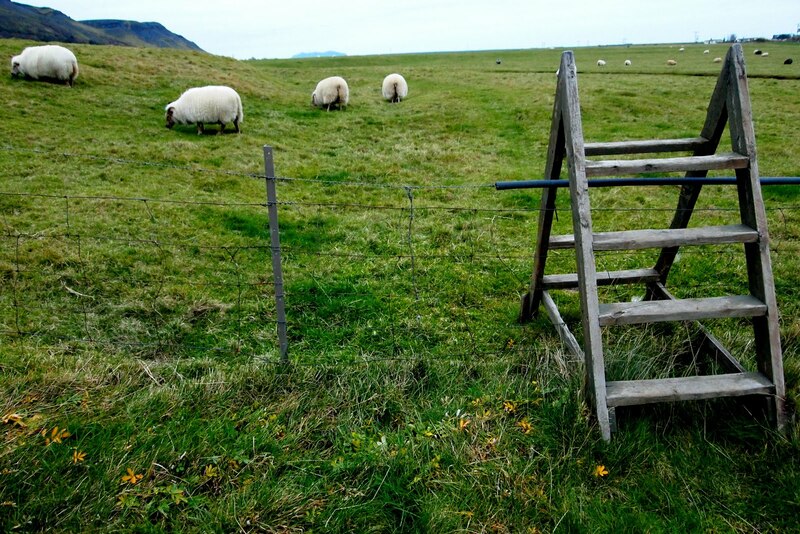 How much would I give, however, to see the field emptied out by one sheep after another climbing up and down, out and away to explore like the ones we met on the path?